Living within the asylum, with reportedly limited speech, Pullen's life was constantly monitored and recorded by others. This 'pictorial' account of his career, created shortly after he completed the Great Eastern, provides a unique account of Pullen's own perspective on his life and achievements. The narrative begins when Pullen is aged seven, and runs until 1878, when he was approaching middle age. 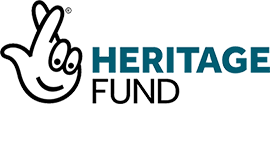 It records significant life events, including his early childhood and entry into the Essex Hall and Earlswood asylums. The 'comic strip' format suggests the influence of contemporary illustrated journalism. The Autobiography focuses on Pullen's productivity. It covers his carpentry, model-making and ingenious fantasy creations in equal measure. The central panel celebrates Pullen's most monumental creation. 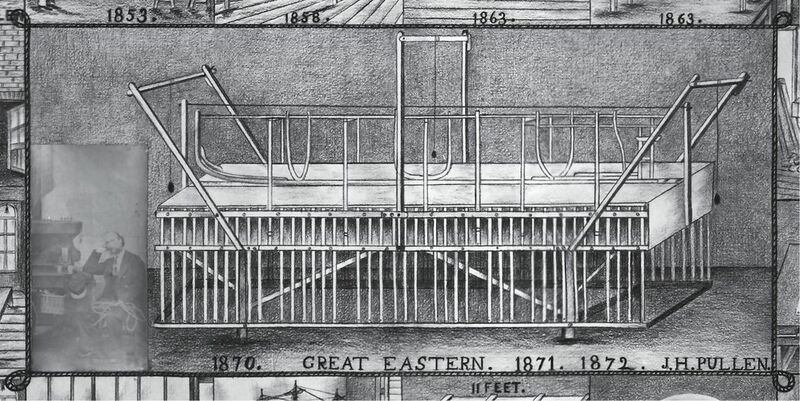 Rather than showing the Great Eastern itself, Pullen depicts the cradle on which he constructed it. Measuring ten feet long, this vast creation took six years to build. Learn about the final 11 panels below. Pullen is making furniture for the Earlswood Hospital, where he was employed as a carpenter. 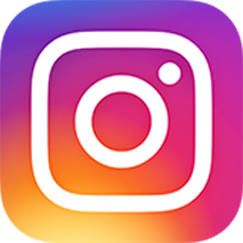 Doctors frequently complained that he did not spend enough time working for them as he was preoccupied by his own creations. 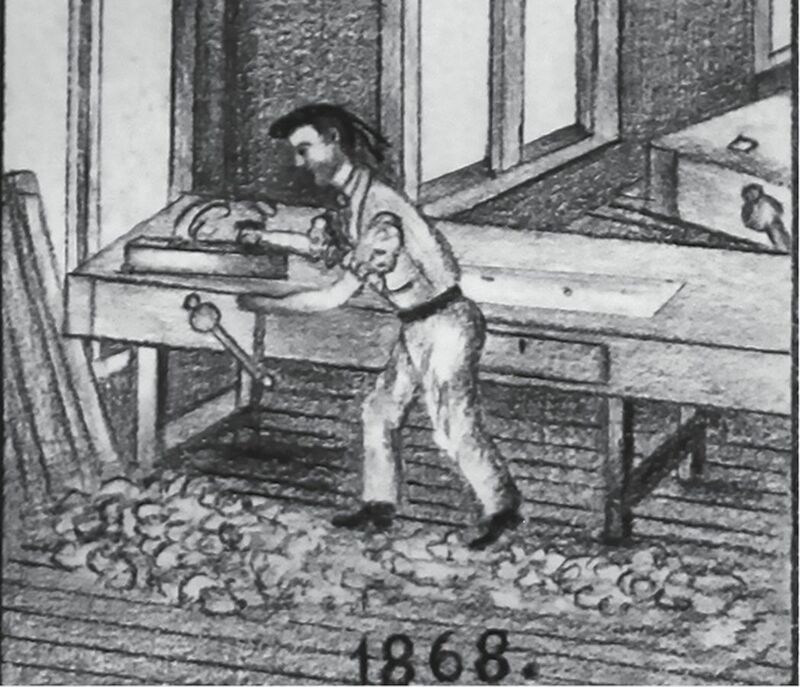 In May 1869 Pullen fractured his leg and was temporarily unable to carve. Here he sits and draws in a modified chair, with crutches beside him. 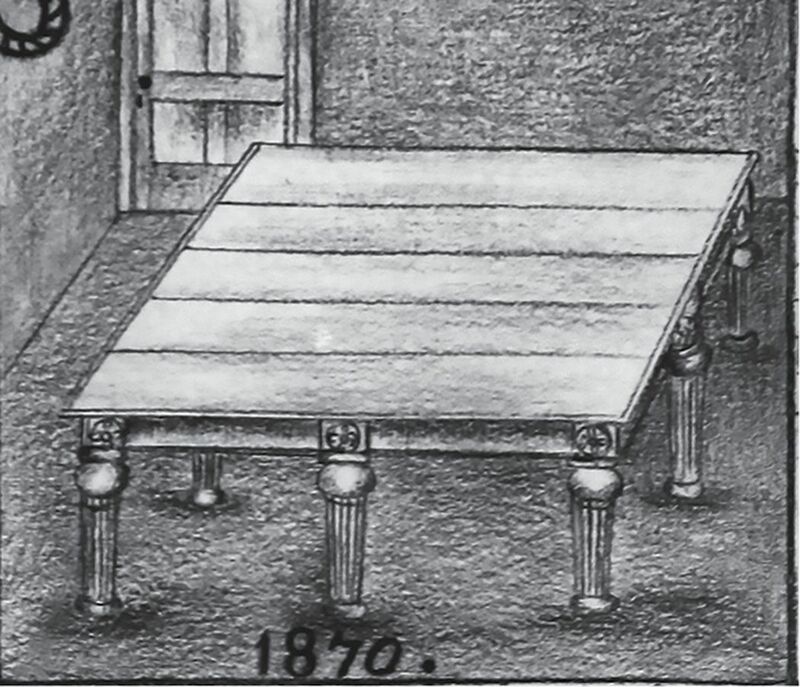 The sails of one of his ship models are visible behind the table. The central panel celebrates Pullen's most monumental creation. Rather than showing the Great Eastern itself, Pullen depicts the cradle on which he constructed it. A photograph of Pullen dressed in his Admiral's uniform appears on the left-hand side. Begun in 1870, the Great Eastern was formally launched at the 1874 Earlswood fête. 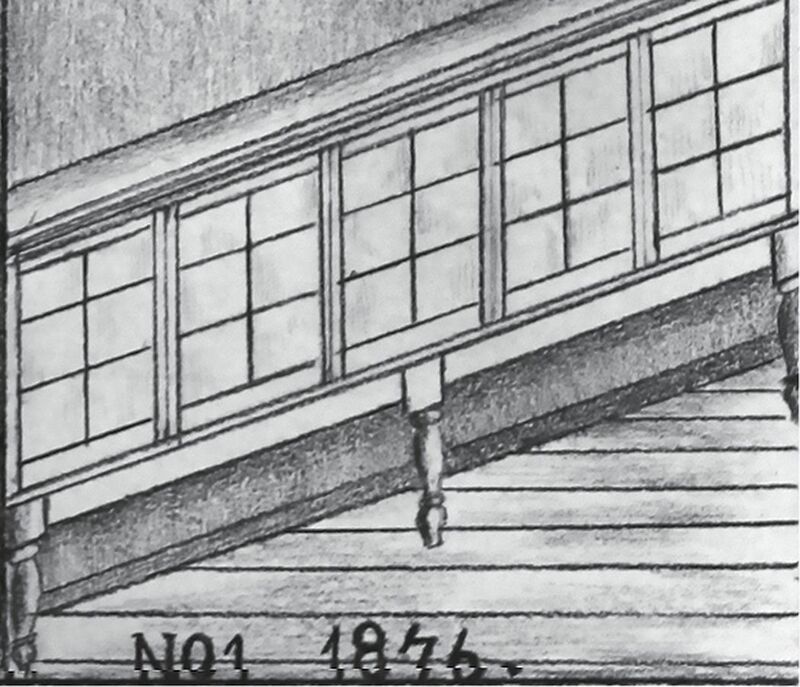 Bordered by a rope design, this echoes the real frame Pullen carved for the Autobiography. Pullen completes the base for a protective glass case designed to display the Great Eastern. The ship was later exhibited in the entrance hall at Earlswood Hospital. Pullen is working on plans for the Great Eastern. 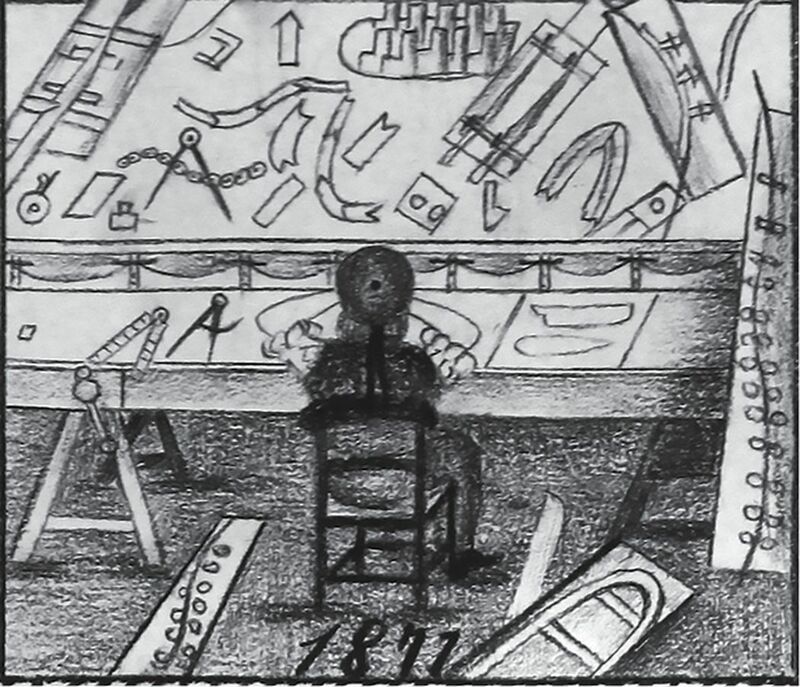 The table in front of him is covered with a mixture of tools and paper plans, indicating the enormity of the task. 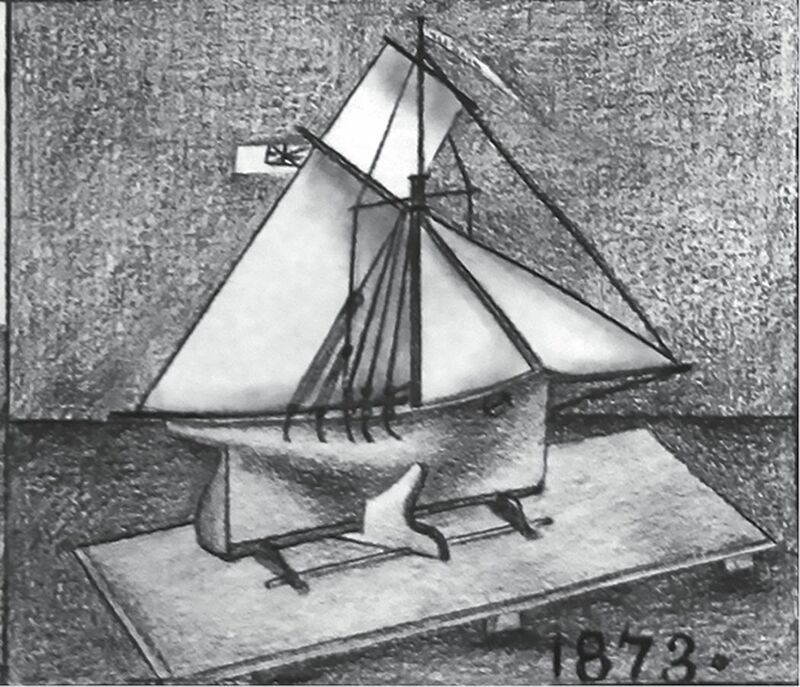 Pullen finds time to create a model yacht. 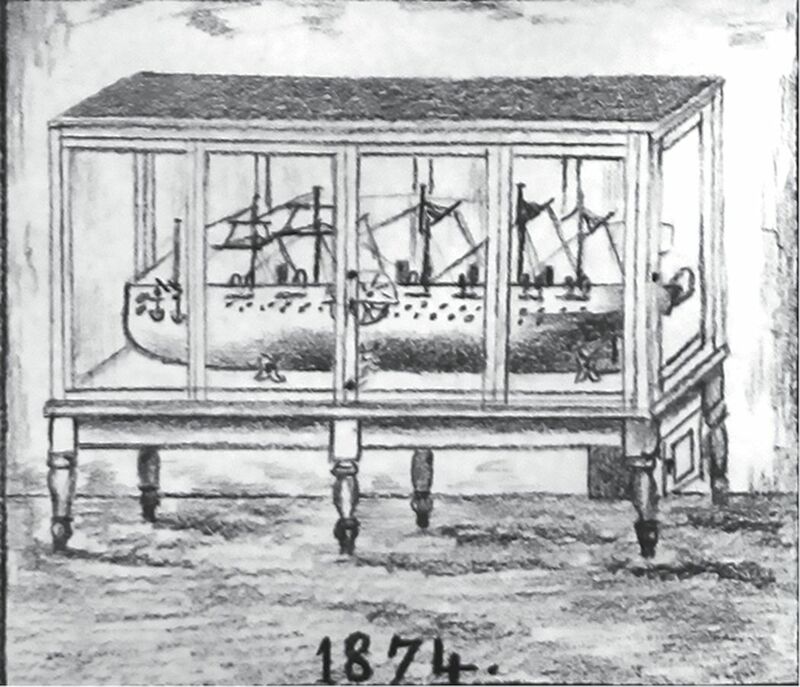 The completed Great Eastern is shown inside Pullen's protective glass case. 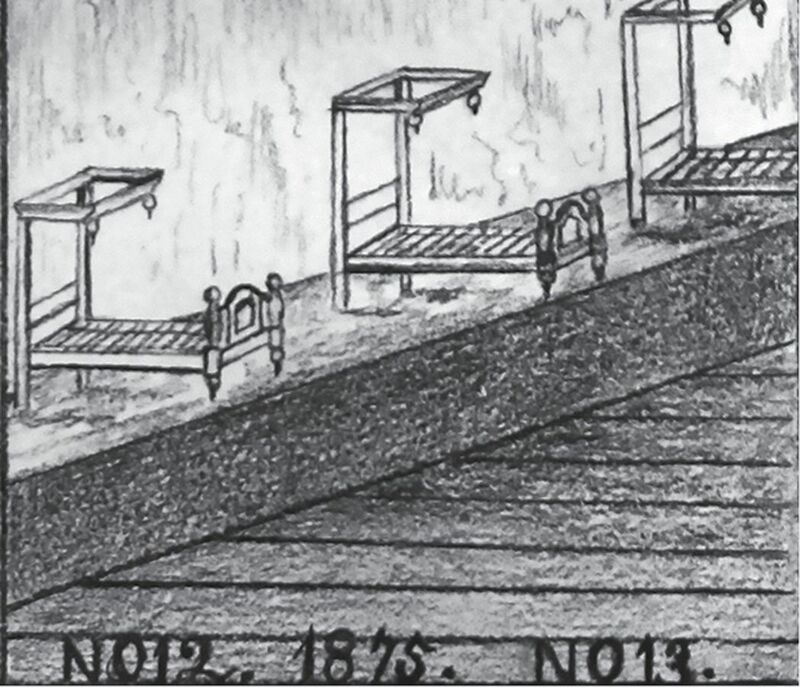 With the Great Eastern complete, Pullen focuses on making new beds for the asylum. Continuing his work for the Asylum, Pullen creates barriers for the corridors. 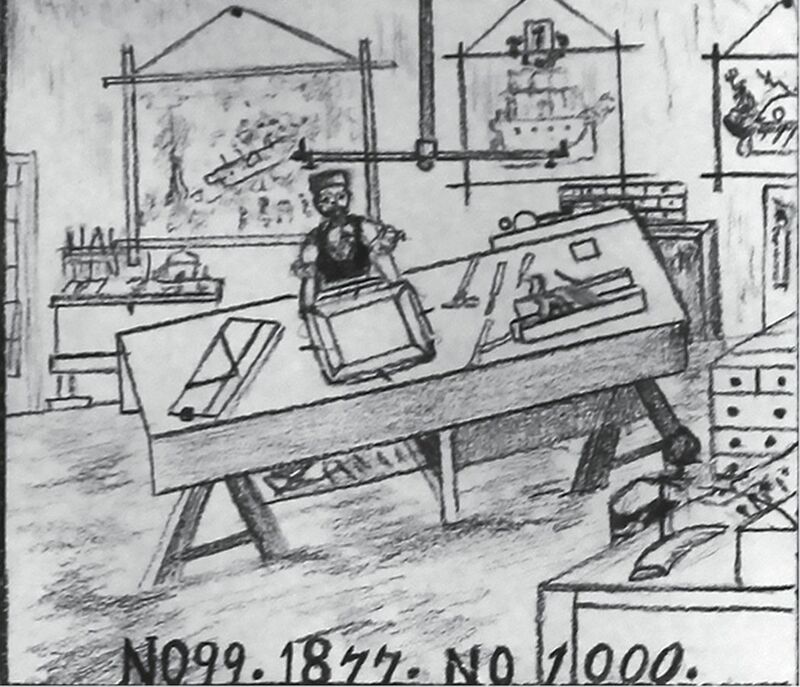 Here the walls of Pullen's workshop are covered with his drawings and designs. 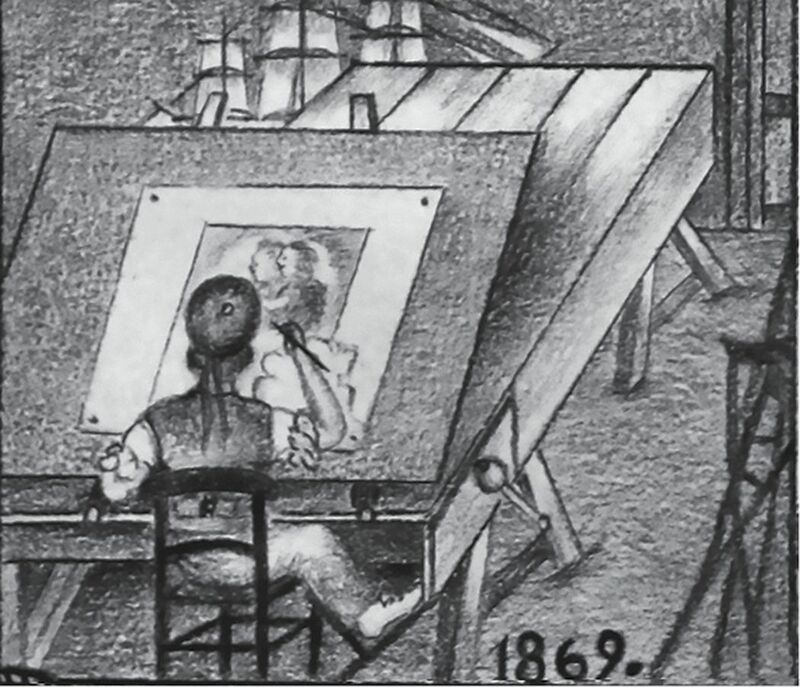 Curiously his Giant, prominent in the photograph of his workshop, is nowhere to be seen. 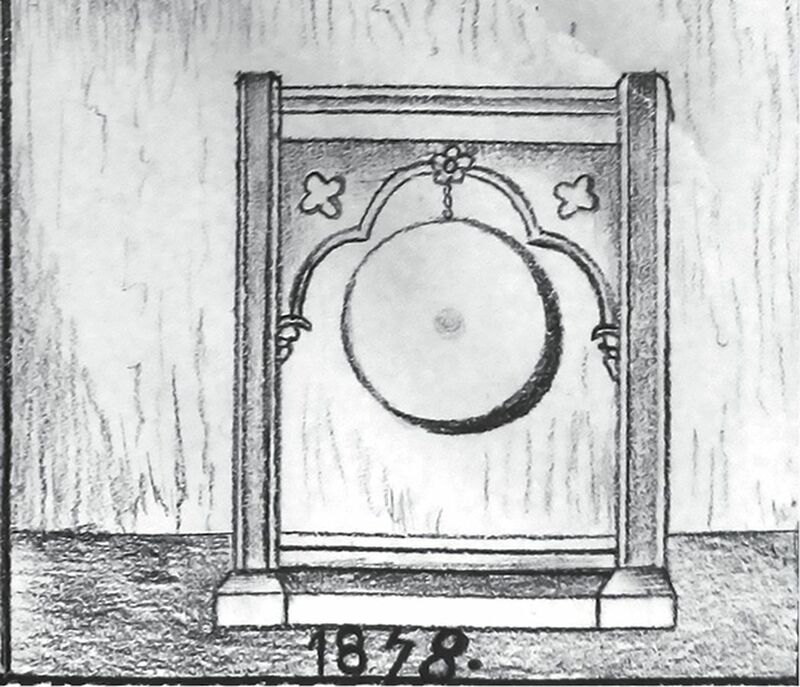 The final panel shows the gong Pullen constructed to call Earlswood residents for meals, entertainment and prayers. Though the Pictorial Autobiography ends in 1878, Pullen lived on until 1916.